I noted to a friend a couple of days ago that I’m an absolute whore for the Final Fantasy series. Anything they throw at me I hoard greedily like some sort of dragon. The most recent example of this was when I borrow my brother’s Final Fantasy XII and, after playing about 15 hours, realized my abiding love for it and immediately went out and bought my own copy. Was this necessary? Of course not! Buying an extra copy of any series of games, especially when your brother isn’t going to ask for his copy back is ludicrous. Or is it? If you’ve been keeping up with your Squenix (because I’m guessing that’s how you actually write that bastardization of Square-Enix), you’ll know that the company’s been struggling to put new IPs on the market. Sure, they have a thriving business at the moment, but also, if you’ll note, that’s been from nice products like FFVII:AC on PSP, FFVII on PSN, FFIV:The After Story on WiiWare, FFIV on DS, and… are you noticing a pattern here? That’s right. They’re all old news. Maybe new takes on old news, but if I wanted that I’d go to a fan fiction website and read to my heart’s content. Let there be no mistake: I bought a PS3 for FFXIII. Maybe I’ve been partly betrayed with the whole cross-platform thing, but I’m all for the single-disc, Japanese voiceover, bluray durability of the PS3 release, so I’m willing to mostly overlook that horrifying E3 announcement of yesteryear. However, since then, the game itself has been fading my mind more and more until it’s just become a “sometime in the near future” sort of thing. Now, I’m not one to gush, but that single-handedly sold me on the Japanese voiceovers and secured my purchase of the game in Japanese as well as English (another time a pointless purchase will burrow deep into my wallet because of Final Fantasy). And you know why this is? It’s not for the games, no. It’s not for Japan, no. You’re right. It’s because, if I could, I’d have Square’s baby. There’s not enough in this that isn’t in the Japanese demo to get me any more excited than I already am, sadly. A total of like a minute of new footage out of a 7 minute video. Nothing horrifying about the cross platform release with the exception of the fact that because dvds are tiny square-enix has decided not to include japanese track stateside. I’m sure they will get some good voice actors this goround right? 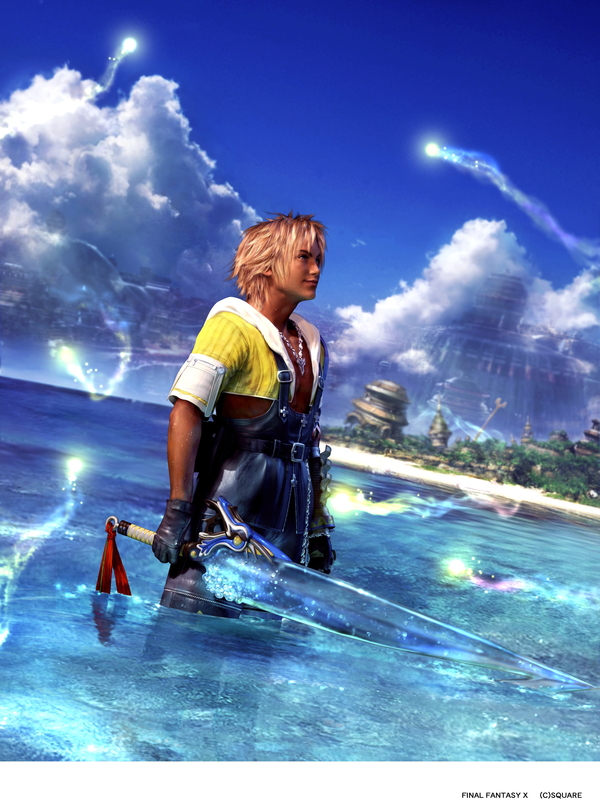 and…is your confession that you loved FFX? its not bad square has been going down hill since FFVII and more so since they bought Enix. End of Eternity, from Tri-Ace published by Sega…theres something new. Sega is bring us what square should have been doing for years.